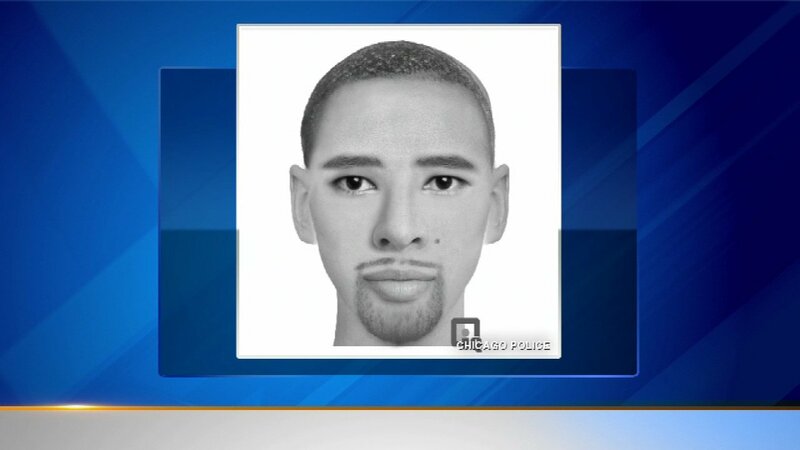 CHICAGO (WLS) -- Chicago police released the sketch of a suspect who they say kidnapped and sexually assaulted a 27-year-old woman on the city's South Side last month. Police said the assault happened at around 4 a.m. on August 22. The woman was parked in the 8800-block of South Crandon Avenue when the suspect drove up and showed the woman a gun before forcing her into his car, police said. The suspect drove the woman to an unknown location where he sexually assaulted her, according to police. The offender is described as a black man with brown eyes and a dark brown complexion, around the age of 30. Police said he is about 5'9" tall, weighing 200 lbs., with a low cut fade haircut, a low cut beard, and a mole on the left side of his face. He was wearing a long sleeve black shirt and black Champion jogging pants. He was driving a four-door silver car with beige leather interior and brown door panels inside. Anyone with information should contact Area South detectives at 312-747-8271.